The United Nations Security Council (UNSC) adopted Resolution 1325 in 2000, in doing so, the Council officially mandated that a gender perspective be integrated throughout all aspects of peace and security. 1325 is much more than a number, 1325 is a historic watershed political framework that recognizies that women – and a gender perspective – are relevant to negotiating peace agreements, planning refugee camps and peacekeeping operations as well as when reconstructing war-torn societies. The content of UNSC resolutions matter because they form the basis for action. 1325 is where the WPS Agenda began, but over the last 16 years has grown into a framework including seven additional resolutions on Women Peace and Security. 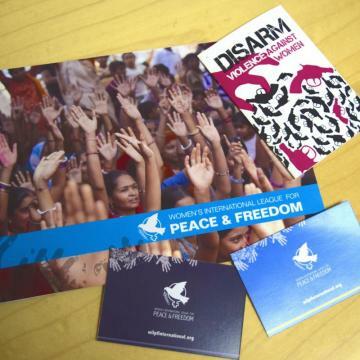 The policy tools on Women, Peace and Security (WPS) extend from local to global levels, from intergovernmental bodies, such as the United Nations, to grassroots women’s movements. In response to persistent advocacy from civil society, the UN Security Council has so far adopted eight resolutions on “Women, Peace and Security”. These resolutions are: Security Council Resolution 1325 (2000); 1820 (2009); 1888 (2009); 1889 (2010); 1960 (2011); 2106 (2013); 2122 (2013); and 2242 (2015). These resolutions should fall under a single umbrella, as they comprise the Women, Peace and Security international policy framework. They provide guidance and enhance efforts to promote and protect the rights of women in conflict and post-conflict situations. Additionally, as binding Security Council resolutions, they should be implemented by all Member States and relevant actors, including UN system entities and parties to conflict. Read about each of the WPS resolutions or find translations in your language below. This is the first time the Security Council addressed the disproportionate and unique impact of armed conflict on women. The resolution recognizes the under-valued and under-utilized contributions women make to conflict prevention, peacekeeping, conflict resolution, and peacebuilding. Presidential Statements (known as PRSTs) are consensus-based statements that are not legally binding but which often outline principles which will be addressed in a formal resolution later down the road. Read the PRSTs here, or for more information, check out our Security Council page.